Chart Software | Download ConceptDraw for easy charts, graphs, tables and more! ConceptDraw gives the ability to draw block diagrams like flowcharts, bar charts, histograms, pie charts, divided bar diagrams, line graphs, area charts, scatter plots and others. Sample 1. 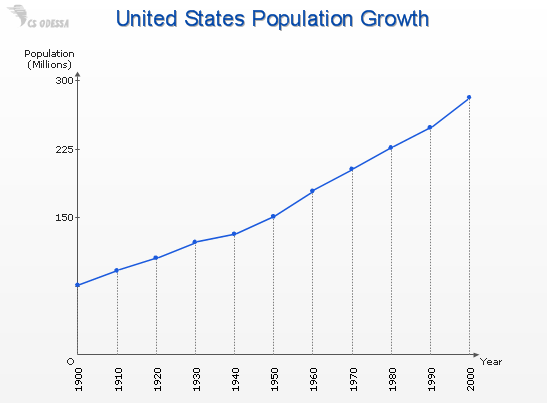 Line chart - US population growth. ConceptDraw DIAGRAM v12 diagramming and vector drawing software offers the Area Charts solution from the Graphs and Charts area of ConceptDraw Solution Park for quick and easy drawing the Area Chart of any complexity.